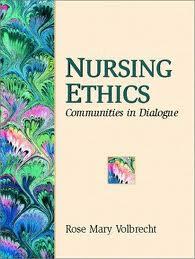 Nursing Ethics Issues involve the ethical dilemmas faced by nursing professionals in everyday practice. This is a topic suggestion on Nursing Ethics Issues from Paper Masters. Use this topic or order a custom research paper, written exactly how you need it to be. Many nursing students will have to do research papers on ethical issues in nursing. With the litigious nature of society, nursing ethics are under the microscope in many health care organizations. The foundation of nursing ethics issues are covered in the American Nurses Association Code of Ethics for Nurses “The nurse’s primary commitment is to the patient, whether an individual, family, group, or community.” This statement illustrates that the patient is the primary ethical concern for the nurse today. However, in reality, this may be questioned and tried at many levels throughout the education and career of each and every nurse. That is why nurses are encouraged to write research papers on nursing ethics issues. How the nurse professional should act in an ethical and responsible manner in order to create a practice and healthcare environment that is morally and ethically sound. The nurse practitioner must weight the outside forces that influence decisions and always ethically measure their value. Discuss how ethics in nursing incorporates personal beliefs and values, which can be dangerous in the decision making realm. Nurses find themselves caught between their ethics and the mandates of managers and leaders in healthcare organizations and even in insurance corporations. In an ideal world, nurses would only have their own ethics to consider; however, today’s society forces the nurses hand to weigh many outside factors in ethical dilemmas. Nursing ethics help people live well and longer and prosper. Inherent in all of the above is the idea that the main role of nursing lies in the ethical requirement to “promote the well-being of the patient by caring for him or her by a personal relationship”. Anne Bishop and John Scudder first expressed this idea in 1990. According to these authors, the nurse-patient relationship is at the heart of the nursing profession. The specific actions of the nurse at any given time must be directed toward the preestablished final goal. Part of this goal is the promotion of the patient’s well-being by way of quality care that involves “physical, psychological, relational, social, moral, and spiritual levels”. The nurse in any given situation perceives what is going on in the environment and with the patient from a moral standpoint. From this standpoint, the nurse is able to identify attitudes that may affect quality of care. While this standpoint includes the nurse’s professional knowledge and obligations, it also incorporates sensitivity to the emotional and psychological needs of the patient. The role of nursing has always involved quality, one-on-one care giving. In this role nurses must go beyond the medical implications in order to reach the patient on all levels. This added effort requires that nurses have the ability to perceive and communicate. Although professional nurses today are very adapt in the fields of administering therapeutic interventions, their role as caregiver still remains the primary role of the nursing profession. History of the Insurance Industry research papers examine the last 100 years in light of business ethics. Nursing Shortage - Compelling evidence suggests that regions of the United States face a nursing shortage that our legislators, health officials, and medical professionals must address. Order a research paper on nursing shortages from Paper Masters. Nursing Care Plan - Nursing Care Plans research papers discuss the set of actions to be undertaken by a nurse in the treatment of a patient. Theoretical Foundations Nursing - Theoretical Foundations of Nursing research papers examine the professional field of nursing that was first developed by Florence Nightingale. Transcultural Interaction - Transcultural Nursing has a theoretical basis in anthropology and sociology combined with the scientific research of the medical field. It is a goal-oriented discipline. Culture Diversity Nursing - Cultural Diversity in Nursing can help nurses treat healthcare concerns that appear more often within certain populations. Elder Abuse in Nursing Homes research papers are custom written for nursing students and nurse administrators. Nursing Job Market research papers overview the nursing industry and discuss the opportunities for jobs in nursing. Paper Masters writes custom research papers on Nursing Ethics Issues and ethical issues in nursing and health care organizations.